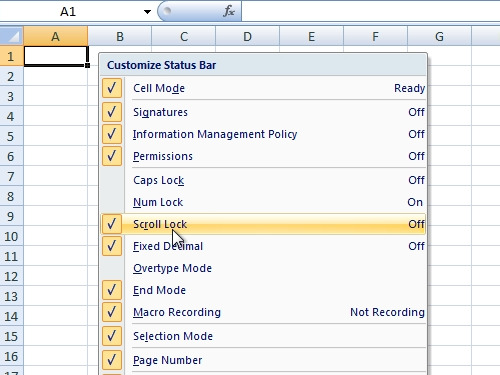 In this video we will show you how to undo excel scroll lock. 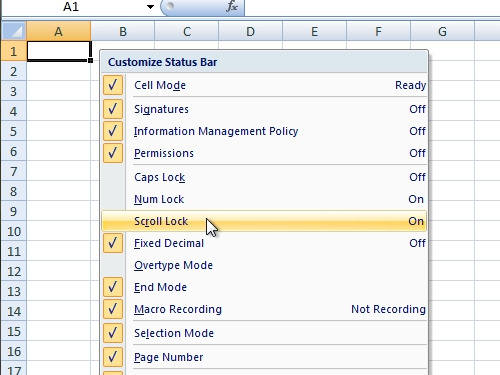 In order to undo excel scroll lock, open the Microsoft Excel. Right-click under “Sheet1”. In a pop-up menu you can see that scroll lock is off. Close the Microsoft Excel. 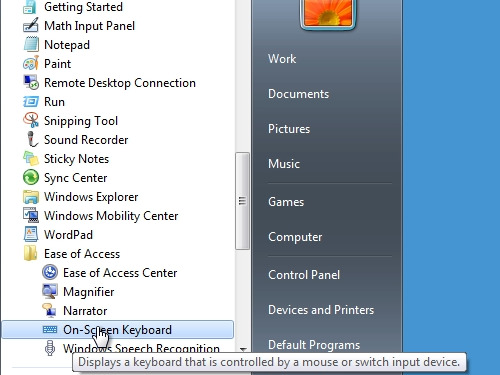 Go to the “Start” menu – All programs – Accessories – Ease of access and then click “On-Screen Keyboard”. 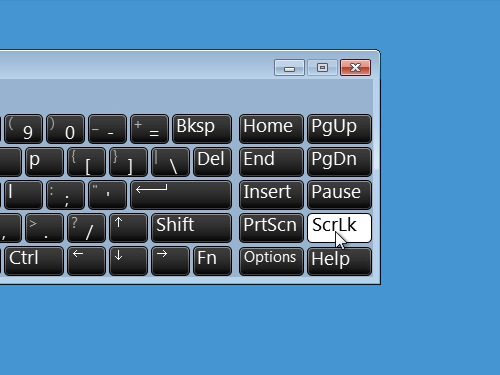 In the appeared on-screen keyboard window click “Scroll Lock”. Launch the Microsoft Excel again. Right-click under “Sheet1”. Now in the pop-up menu you can see that the scroll lock in on. Check or uncheck this option to turn on or off in excel.